A Nigerian Internet scammer, Fred Omeleze, has been arrested by the police in New Delhi, India, for allegedly defrauding a woman by pretending to be an American by the name of Benson, and proposing love to her. Indian Times reports that Omeleze also posted fake photos of the purported Benson on his Facebook wall and after developing friendship with the woman, he moved in for the kill and duped her of a huge amount of money. According to the police, Omeleze, had convinced the woman that he wanted to invest $5 million in a business in India, telling the victim he wanted her to be in charge of the business. The woman later received a call from a fake official from the customs department at the Delhi Airport, asking her to pay the sum of Rs 2.5 lakhs (about N1.2m), as duties for a certain Benson who was trying to bring in dollars and gold into the country but was held by the customs. 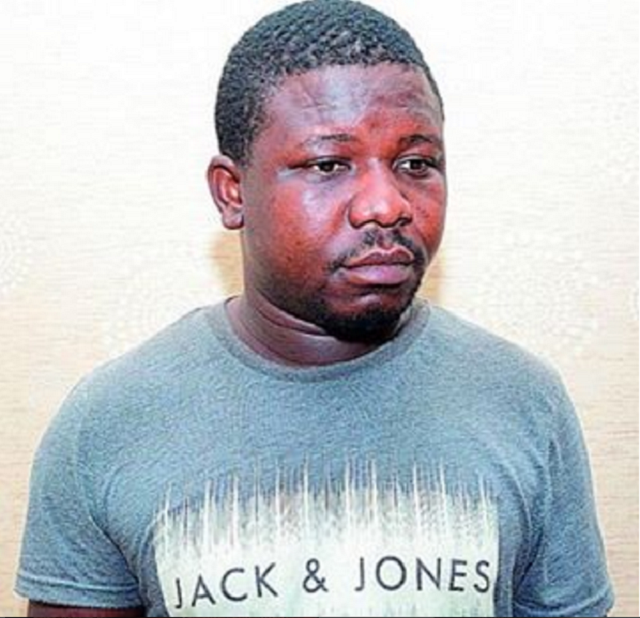 The woman, believing her boyfriend was in serious trouble, was said to have deposited the amount in a bank but when she could no longer trace Omeleze, she realized she had been duped and reported the matter to the police. During police investigations, the suspect was traced and arrested with the police finding out that he had been living illegally in New Delhi since 2012 without a visa, after his original visit visa expired.